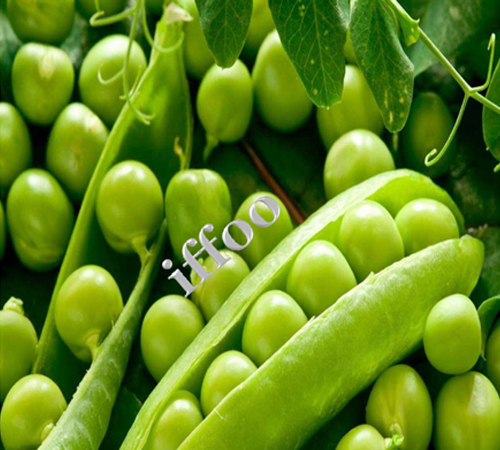 The pea is most commonly the small spherical seed or the seed-pod of the pod fruit pod fruit Pisum sativum. Each pod contains several peas. Pea pods are botanically fruit, since they contain seeds and developed from the ovary of a (pea) flower. Calories 81, Total Fat 0.4 g, Sodium 5 mg, Potassium 244 mg, Total Carbohydrate 14 g, Protein 5 g, Vitamin C 66%, Iron 8%, Vitamin A 15%, Calcium 2%, Vitamin B 15%, Calcium 2%, Vitamin B-6 10%, Magnesium 8%.